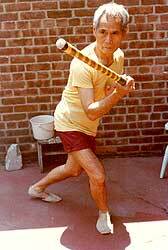 In 1960, Romeo Mamar founded the art of tapado which utilizes a forty-three inch staff held at one end with both hands. The art has only two movements in its repertoire, and they are simultaneously blocks and strikes. Mamar founded this art in Taloc, Bago City after having become disheartened by the limitations of the four methods of arnis, lagas, sinamak, layaw, and uhido, he previously learned. In 1963 the Samahan sa Arnis ng Pilipinas sponsored the First National Arnis Festival. 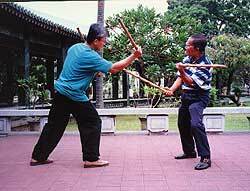 This festival was important as it was the first time that the Filipino martial arts were televised for all to see. Various demonstrations of arnis were given by experts from Far Eastern University and the Tondo School of Arnis, which was founded by Jose Mena. 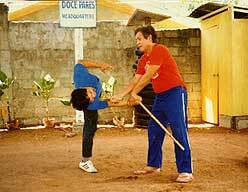 After studying thirteen styles of arnis, Mena developed a personal style called doblete rapillon or, simply, Mena arnis. By 1973 Magdaleno had incorporated escrido-the martial art of Ciriaco "Cacoy" Cañete - and changed the name of his club to the Black Cat Self-Defense Club. 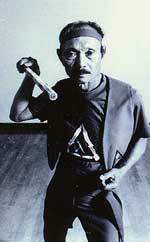 Also in 1966, Angel Cabales,with the assistance of students Max Sarmiento and DentoyRevillar, opened the first "commercial" eskrima academy in the United States in Stockton, California. 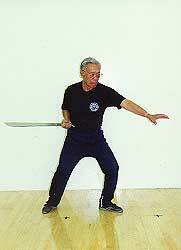 Leo Gironfollowed soon with his Bahala Na Filipino Martial Arts school in Tracy, California. In 1968, Bakbakan International was founded by a number of martial artists in Manila, as a brotherhood of martial artists in the Philippines. Since it founding Bakbakan has promoted Filipino martial arts around the world through the opening of clubs, sponsoring of seminars, the editing and publishing of books and newsletters, and the production of instructional video tapes. Then in 1969, under the encouragement of then director and secretary-treasurer of the Philippine Amateur Athletic Federation, Colonel Arsenio de Borja, arnis was offered as part of the curriculum for a Bachelors of Arts degree in the physical education program at Manila s National College of Physical Education. 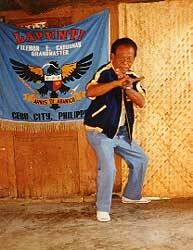 In 1972, Felimon Caburnay,an original Doce Pares Association member, founded the Lapunti Self-Defense Club. With his proficiency in Western fencing, eskrima, combat judo, and wrestling, Caburnay founded a system known as lapunti arnis de abaniko. 1972 also hosted the founding of yaw-yan, an acronym of sayaw kamatayan (dance of death). 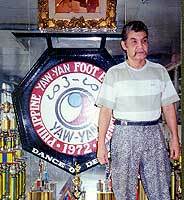 Yaw-yan is a Filipino kicking style developed by Napolean "Nap" Fernandez. Unlike the similarities to Korean and Japanese kicking styles held by sikaran, the techniques of yaw-yan are more closely allied to those of muay Thai. During this year in the United States, pekiti tirsia arnis grandmaster Leo T. Gaje founded the Arnis America Organization in New York. In 1975, the National Arnis Federation of the Philippines (NARAPHIL) was organized by General Fabian Ver. At that time General Ver was the Chief of Staff of the Armed Forces of the Philippines and became NARAPHIL s first president. The Philippine Arnis Confederation was also founded in this year by Crispulo "Ising" Atillo. The goal of the Confederation was to expand on the techniques of their grandmaster, Teodoro "Doring" Saavedra, also an original member of the Doce Pares Association. The Punta Princesa Eskrima Club was also founded in 1975 by Artemio Paez, Felipe Atillo, and Carlos Navarro. The United States had its first full-contact arnis tournament also at this time. The event was held in New York and was organized by Amante "Mat" Mariñas and supported by Florendo "Vee" Visitacion.